So I’m on Twitter, as I usually am, and someone Tweets that Hotmail has integrated Facebook Chat into its email application. My first thought was hmmmmm. 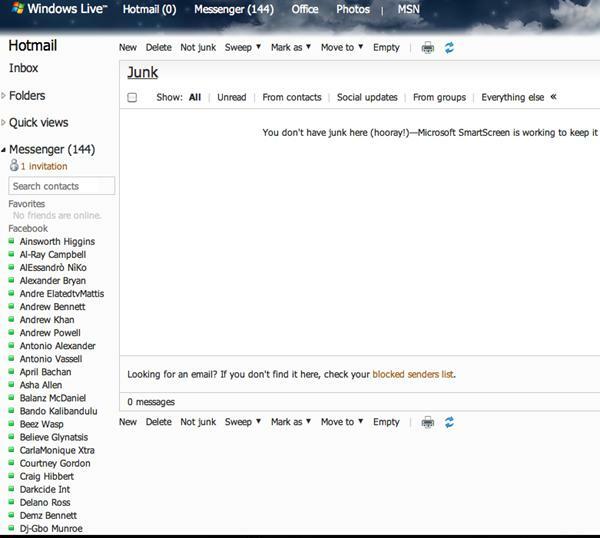 Didn’t Hotmail already have MSN Messenger integrated into their app so why then do they need Facebook? Is this stemming from the fact that maybe MSN Messenger within the Hotmail application may not be doing as well as Gmail Chat? Or is it that with the capability of now being able to make calls through Gmail, Hotmail had to find some way to compete with that and maintain some slight degree of competitive edge? To be honest I don’t know and I probably won’t try to. Then I again I went a bit further to another hmmmmm. Why would Facebook agree to such an integration when they are trying to push their own email application from Facebook? Is it not doing as well as they thought it would? Do they believe a partnership with Hotmail will better enable them to extend their reach and get more people using their Facebook email app? Yet again I say I don’t know and will not seek to. So I decided to test the WordPress for Blackberry just in case I have to blog on the go which more than likely i’ll be doing a lot of.